Milos, an island of the Early Aegean civilization, flourished as a commercial center due to its location between mainland Greece and Crete and its obsidian mines. Obsidian, a quite hard stone was extensively used for crafting weapons and ornamenting objects since the pre-historic period. Funeral gifts and pottery survive from the prehistoric city of Phylakopi, exhibited at the archaeological museum of Milos. Perhaps, a whole city had sunk in the sea bottom, and sometimes it is visible between Milos and Kimolos, when water is absolutely calm. The volcanic past of the island has gifted Milos with a unique, stone landscape. It is rich in industrial minerals, and although its economy has ceased to be based on mines, there is still one mine open to visit. The stone variety of the Milian earth makes every beach a bead of a colorful mosaic. Venus de Milo, the famous statue, a model of classical beauty, was discovered on the island in 1820, and is now disposed at the Louvre Museum. A copy of the original lies in the local archaeological museum, a building designed by the famous architect Ernst Ziller. First capital of the island had been Chora or Zephyria, but since a plague eliminated its population, the capital was transferred to Plaka. The natural landscape of Milos is a revelation to the visitor: Achivadolimni, a wetland where rare species of animals, birds and plants, such as the Mediterranean seal, the Cyclades Blunt-nosed Viper, the Milos wall lizard, the wild goat of Antimilos and the Milos cypress find shelter in the wetland of Achivadolimni and in areas of the island protected by Natura 2000 Network. Museums, archaeological sites, Christian catacombs, byzantine churches and landscapes-works of art narrate the island’s long and fascinating history. 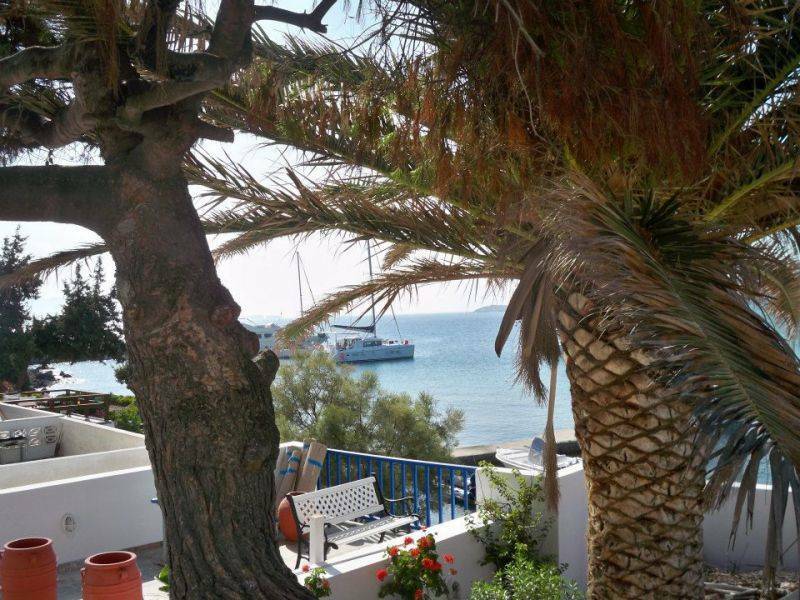 Religious and traditional festivals are organized in Milos throughout the summer. 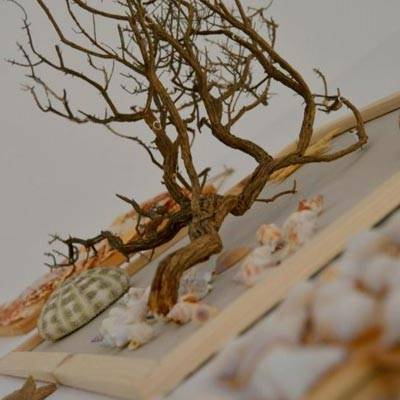 The Aghia Paraskevi celebration and festival in July 26, and the Trawl festival in Pollonia, where there is a representation of traditional fishing practices. In late August, in Trypiti village the celebration of Kyriavgoustos takes place, where children jump over bonfires. 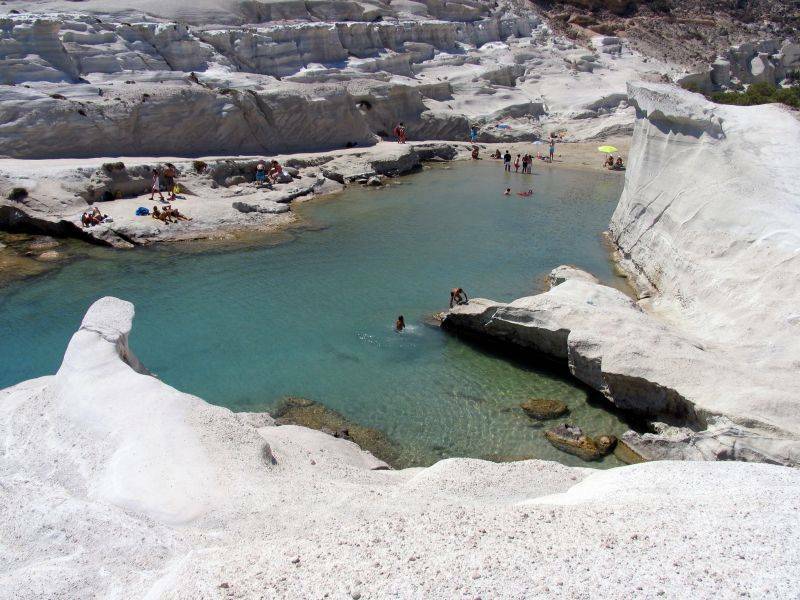 These are some of a plethora of August festivities in Milos island. Experience Greek culture in our Special Evenings, with traditional music and delicious Greek dishes. Get acquainted with the treasures of local gastronomy in our special events for the local wine and produce. See some photos of our paint exhibition special night with local wine and local tastes, with panoramic views to the Pollonia gulf.